Neal has been a resident of New Mexico for 15 years. He began piano study at age 14 and, from 15 to 18, attended the Arts Magnet High School for the Performing Arts in Dallas, TX ― the first performing arts school to open after New York, and the prototype for magnet schools nationwide to follow. Neal studied music theory, composition, accompanying, and was the pianist for the school’s symphony and chamber orchestras...as well as performing orchestral solo works...graduating “Senior Musician of the Year” in 1978. Noted alumni of the school include Edie Brickell, Grammy award winning artists Erykah Badu, Roy Hargrove, and Yamaha Artist Norah Jones. After graduating from high school, Neal studied Piano Performance on full scholarships at three notable universities: Meadows School for the Arts at Southern Methodist University, studying with Alfred Mouledous, a student of pedagogues Walter Gieseking and noted French pianist Alfred Cortot; at the University of Texas with Dr. Arryl Paul; and at Arizona State University with Robert Hamilton, a prizewinner of the Busoni, Casella, Montevideo, and Rudolph Ganz competitions. 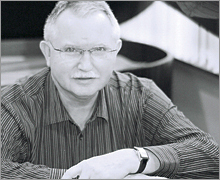 Mr. Hamilton is featured in the book, The Most Wanted Piano Teachers in the USA. Following formal studies, Neal taught piano ― and accompanied and performed chamber music ― before becoming a piano consultant in 1987. In 1995, on his first visit to New Mexico, during a business trip, Neal fell in love with Albuquerque and decided to make it his home. That visit also yielded his first meeting with Maurice Unis and Cathy Traylor of the nationally acclaimed Forte Marketing Group. Neal was invited to join their team. 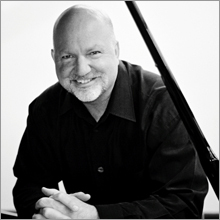 As a member of Forte, he worked with arts organizations and piano dealerships in major cities across the United States and Canada for 15 years. For Neal, PianoWerkes represents an exciting opportunity to work with his associates from Forte in his home state of New Mexico. 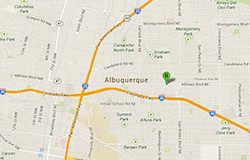 Anthony, a native New Mexican, is head of Customer Service and Operations. He has been a friend and associate of Forte Marketing Group for 15 years and has served in a variety of capacities. Within Forte, Anthony has acted as a general event facilitator, from delivery and appointment coordination to reception. 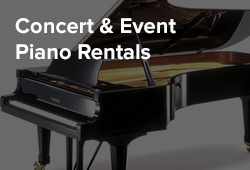 In the establishment of PianoWerkes, Butch has been involved with every aspect of the business from its inception. From the logistics of finding a location, planning, furnishing, lay out and showroom decor, Butch has been a key player in making PianoWerkes become a reality. His role with PianoWerkes involves all areas of operations and customer service. The history of Maurice (“Moe”) Unis and his involvement in the piano business started at an early age. He first learned the piano trade from his maternal grandfather, Maurice T. Schuster (“M.T.”) ― violinist with the Portland Symphony Society, and a piano tuner. When the orchestra fell on bad times during the Great Depression, M.T. made his living by tuning and repairing pianos. Moe “cut his teeth” around pianos, and later mentored his own sons in the family’s fourth generation piano vocation. Maurice was founder of “Moe’s Pianos,” Portland ― dealer for Steinway & Sons. In 1989, after selling Moe’s to Sherman & Clay, Maurice went on to become founder and president of Forte Marketing Group. In 2001 Maurice Unis and his eldest son, Brian, opened Classic Pianos — next to the Aladdin Theater ― in a building that had earlier housed a violin maker. 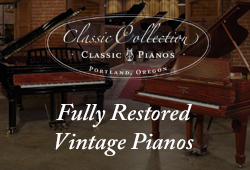 After becoming Portland’s exclusive Yamaha dealer, Classic Pianos expanded its “piano campus” by purchasing one of Portland’s old brick buildings located on the West Side of its main store. 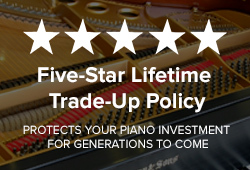 Here, in the historic “Brooklyn Neighborhood” Restoration Shop, craftsmen and technicians restore and revoice vintage instruments ― especially Steinway & Sons and Mason & Hamlin grands ― available in New Mexico exclusively through PianoWerkes and its Classic Collection. Adjacent to the shop is a restored 1912 craftsman “Church House,” former turn-of-the-century mission of the Episcopal Diocese of Oregon...saved from demolition by Maurice...now enlarged into piano teaching studios and a restored chapel room for out of town customers to play and audition Classic Collection pianos. Cathy minored in music at Miami of Ohio and later played piano for Civic Theater and Storefront Theater productions in Portland. She first started working with Maurice Unis at the old Moe’s Pianos in charge of artist relations, concerts, event rentals, and master classes. For 25 years, Moe’s was considered Portland’s landmark piano store ― a fixture on Southeast Woodstock Boulevard near Reed College ― prior to its sale to Sherman Clay & Company in 1989. After several years with the new owners of Moe’s Pianos, Cathy left Sherman & Clay in 1995 to again join Unis at Forte Marketing Group. 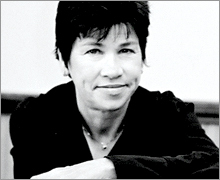 Having organized numerous Forte events coast-to-coast, Cathy continues to oversee all university fund-raising activities nationwide ― including public relations, marketing, and advertising. Cathy has known, and worked with, Neal Hickson since they first met in New Mexico 15 years ago. Jim majored in Liberal Arts at the University of Oregon and studied piano with Dr. John Hamilton, a protégé of keyboard icon Wanda Landowska. Jim has played piano since age five and has been featured on BBC Radio. He holds a Certificate in Keyboard Skills from the Berklee College of Music, Boston. Additional studies have been jazz great Mary Field of Portland; Jim Rousey, San Francisco; and classical work with Katherine George, past pianist with the Oregon Symphony. After several years of experience in piano and organ retail sales, Jim joined Rodgers Organ Company, Hillsboro, OR, as Vice-president of Marketing under the ownership of CBS, Inc., New York; then later Steinway Musical Properties, Inc., Boston. 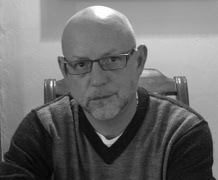 In the 1980s, Jim was Vice-president and Creative Director of Denny, Walls, Ross & Wright: a Portland-based advertising, marketing, and public relations agency. 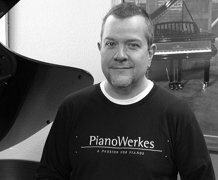 Now “semi-retired,” he serves as Director of Marketing for Classic Pianos and also works with PianoWerkes on its advertising and marketing projects. He is a member of Music Teachers National Association, National Association for Music Education, and a past member of the American Marketing Association.